We currently own a 1999 Suburban. It is time to upgrade. 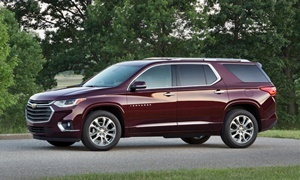 What alternatives are there besides another Suburban/Yukon XL? We won't tow much, just need the space for 2 adults, 2 teens and 3 other kids. Reliability is a key factor since whatever we purchase will have higher miles. Thanks for the help! 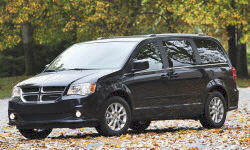 You may be able to stretch to a 2011 Dodge Caravan. This was the face lift version with the Pentstar 3.6 V6. If looking at Honda Odyssey you'll need to go to a 2008 or 2009. Toyota Sienna XLE or Limited.. The Sienna is my vote, i got 379K miles on mine before i had a single issue with it.. The Honda is super nice too, but they have notorious transmission issues when they get older, if you don't mind potentially paying for a new transmission, than that is a bargain because the engine, and electrics, as well as interior fit and finish is all top notch.. The American van's all have hit and miss reliability, and most arn't ranked very high in safety..
though you can typically get one cheap.. but than you get what you pay for..
*ONLY thing i would avoid with all of them, the power sliding doors tend to flake out..
Do you need the vehicle to tow some of the time? If so, how much weight? If only a few thousand pounds then one of the suggested minivans might be best. Nothing beats a minivan for passenger and cargo space. 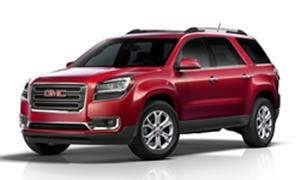 But if you occassionally need to tow a heavier load, or need enough space for seven people AND their stuff at the same time, there might be no viable alternative to the extended wheelbase GM or Ford SUVs. There are no car-based crossovers with enough cargo space behind the third row. 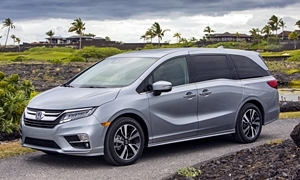 I have to agree for the most part with the minivan recommendations here. 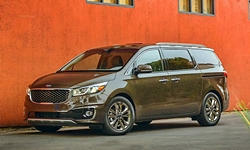 Safety, relative economy, and minivans are always PACKED with features and fancy stuff it seems. 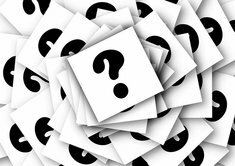 If a minivan is for you, then it has to be either the Toyota Sienna or the Honda Odyssey for sure. In that order too. The Honda, in my opinion, is actually the better of the two, but they have always had issues here and there with their transmissions. Some have them, some go 300k without a whimper. If you're looking more at an SUV, then I would suggest looking at the Toyota Highlander, which can seat 7 fairly comfortably, however, many of them will fall outside of your price range with the mileage limitation that you also have. I personally have been overall extremely happy with my 2001 Toyota Sequoia which can seat 8, but also only gets about 16 mpg average. It is a 4WD model though, so the 2WD may see better mileage. 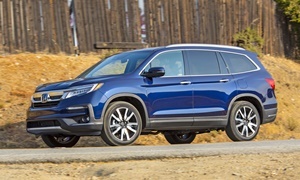 The Honda Pilot is a good option, and those have fallen into pretty reasonable price territory now that the newest model is out, so that might a good one to look at. Unfortunately, many of the other options with 7 seats tend to have poor reliability ratings, poor safety ratings, poor overall consumer ratings, or a mixture of those, or, even worse, all three. Ford's reputability has climbed in recent years, but that won't see the used market for several years still, as the climb really started in 2012, and has become more noticeable in 2015-2016. 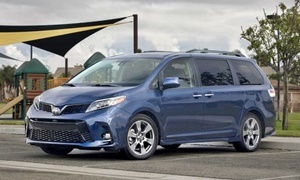 Hopefully, you can find something that works well, given the relatively limited market you are looking at, but don't be afraid to think outside the box a bit, and honestly, I think you'll find yourself delighted with a minivan, despite the unnecessarily negative "soccer" stereotype placed on them. They're a lot of value for money. Very valuable responses. Thanks a bunch for the help gang! 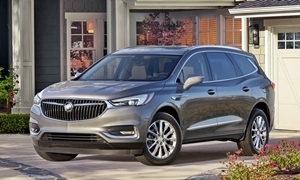 The selling 3-row crossover for .ore than a decade now, seats 8, and has the most area behind 3rd row are the Traverse, Enclave, and Acadia. Our rental Buick Enclave could muster 26 mpg highway which is very good for the Leather package and 2wd. 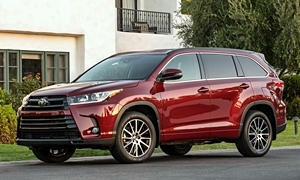 Awd would suffer some bu mid 20's is good for the largest 8 seat, crossover in the segment. It also tow 5,000 lbs.